Parents today face the constant challenge of managing their child’s technology consumption. This challenge grows during the summer when school is out and many families struggle to keep their kids entertained and engaged. Children today will use computers and the technology for the rest of their lives. It’s up to us as adults to ensure they have the tools and knowledge they need to have a safe, positive experience online. Play before they do. Remember that ratings are only a guideline. When determining app and game appropriateness, it’s a good idea to spend some time playing with an app or game before letting your child download it. People don’t always tell the truth online — make sure children understand this. Teach them to ask critical questions and not to accept things they see online at face value. Remind children never to give out personal information online, including their home address, school name, phone number or email address. Reassure children that they can tell you anything – and they don’t have to worry about losing their device or Internet access as a result. Set a technology curfew (we can help). 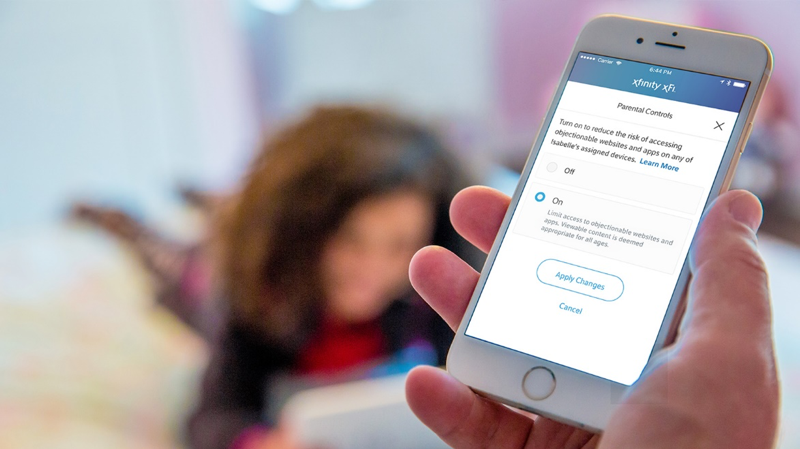 The Comcast xFi app, free to our customers, lets parents schedule – and pause — WiFi access times for individual devices. That means access can be blocked during dinner, bedtime and at night. We wish you and your family a fun, safe and well-connected rest of the summer!